On a cold, wintry day in January 1968, Jeannette Rankin led thousands of women on a march in protest of the Vietnam War. Rankin was 86 years old at the time, and her words and actions made national news. Although not a household name now or then, Jeannette Rankin was one of the most accomplished women in U.S. history in the 20th century. She was a hero to many, loved and honored. To others, she was controversial, even a traitor to some. Rankin's independent streak was clear as a young teen, as she helped her parents work their Montana ranch. By 25, she was a social worker helping the poor. 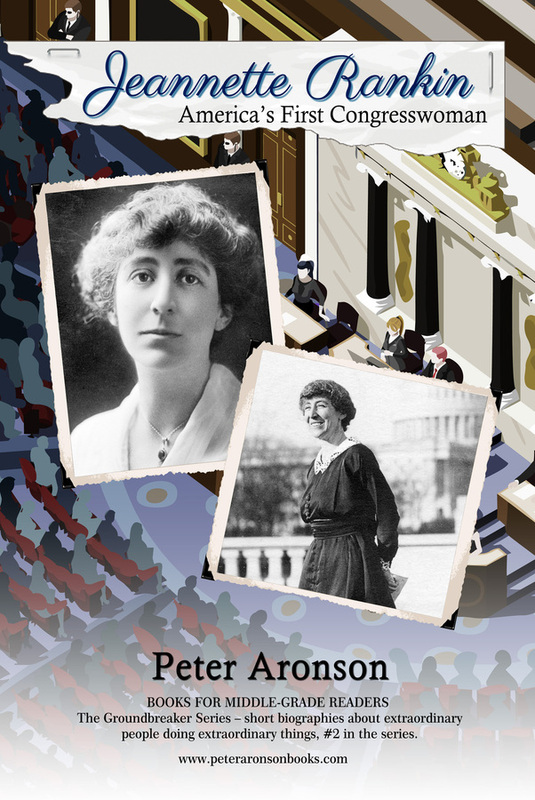 By 32, she was a leading suffragette, helping women get the right to vote. By 36, she became the first woman elected to the United States Congress. For 50 years, she was a leading pacifist, speaking out against war. She is the only politician in U.S. history to vote against the U.S. involvement in both WW I and WW II. You could say she was a woman 100 years ahead of her time. She stood up for what she believed in - until the day she died. This inspiring biography, with more than 60 historic photographs, will be available March 6, 2019. On July 13, 1916, Rankin announced her candidacy for the Republican nomination for Congress. “The primal motive for my seeking a seat in the national Congress is to further the suffrage work and to aid in every possible way the movement for nationwide suffrage, which will not cease until it is won,” she said at the time. She also supported an eight-hour workday for women and laws to improve the life and health of children, known as child welfare laws. Women by the thousands across Montana registered to vote. Rankin, by now with vast experience traveling and speaking, took to the roads to campaign, from factories to farms, to rail yards to mines to street corners. The harder she campaigned, the more momentum she gained. A statewide Jeannette Rankin day was called. On August 29, 1916, Rankin won the Republican nomination with 22,549 votes – 7,080 more than the closest of seven men who ran against her. Now, it was on to the general election.